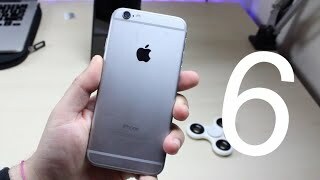 Apple iPhone 6 is available in India at the price of Rs. 25,999/- It comes with 1 GB RAM and 32 GB internal storage with the battery capacity of 1810 mAh. This smartphone has some awesome specification just like Geo-tagging and Facetime. It also consists of Face/Smile detection device unlock. The primary and secondary camera for this device is 8 + 8 MPs. Users rate it 4.4 out of 5 in the review column. 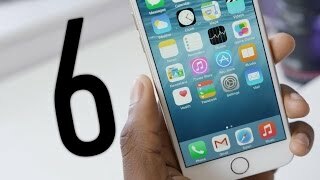 Apple iPhone 6 price in India starts from Rs. 25,999. This phone has only one variant 32 GB internal storage, 1 GB RAM. This phone was launched in September 2014. This beautiful device comes with 1 GB RAM and 32 GB internal storage variant. It is powered by a Dual-core 1.4 GHz Typhoon (ARM v8-based) processor and has Apple A8 chipset. It comes with LED-backlit IPS LCD capacitive touchscreen, 16M colors 4.7 inches, 60.9 cm2 (~65.8% screen-to-body ratio). screen resolution is 750 x 1334 pixels, 16:9 ratio (~326 ppi density). It runs on IOS 8, upgradable to iOS 11.4.1 and is powered by Non-removable Li-Ion 1810 Mah battery. It has 8 MP (f/2.2, 29mm, 1/3″, 1.5µm), PDAF, dual-LED dual-tone flash primary camera and 1.2 MP (f/2.2, 31mm), [email protected], face detection, HDR, FaceTime over Wi-Fi or Cellular secondary camera, booth the primary good to Shoot clearer pics. The primary camera has autofocus and LED flash. This high rated 8 MP camera helps you capture best shots. The camera of this device has many features including Geo-tagging, touch focus, face/smile detection, Panorama and HDR mode. The secondary camera is 1.2 MP. The video quality of this device includes [email protected], [email protected] The front camera also includes video recording. Features of this gadget are good, like that of others smartphones. It includes a 4.7 inch, 60.9 cm2 (~65.8% screen-to-body ratio) HD Display including Multitouch. 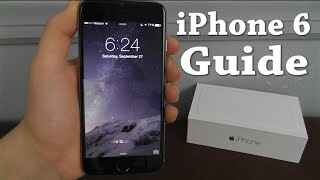 This phone runs on IOS 7, upgradable to iOS 11.4.1. It also has a Dual-core 1.4 GHz Processor which is good. Sensors Include- Fingerprint (Front-mounted), accelerometer, gyro, proximity, compass, barometer. This phone is available in three colors- Space Gray, Silver, Gold.